This article compares the information we have available through various scientific studies to create a model of the pre-flood world, in attempt to decipher what that world would have looked like. The world that was is no more, because it was judged and radically changed into a completely new world. It is a well known fact that plants, animals and human grew to be a much larger size then we know in today’s world. 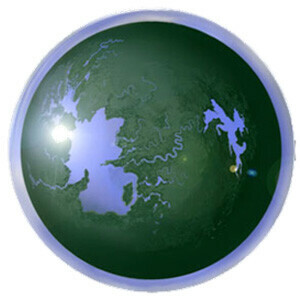 The theory that the earth was at one time covered by a water canopy has been proposed to solve a few point of interest in the historic record. Even though it is heavily criticized, it is still plausible to have existed in a much smaller measure then originally theorized thus contributing to many different factors we find in archaeology and paleontology. This would also explain and coincide with the Biblical account that talks about God separating the waters above the Earth from the waters below the Earth. The sun bombards us every day with solar radiation which has detrimental effects on our bodies. Solar radiation can be thought of as a microscopic shotgun blasting through our cells, causing damage that our bodies have to repair every day by using special enzymes. 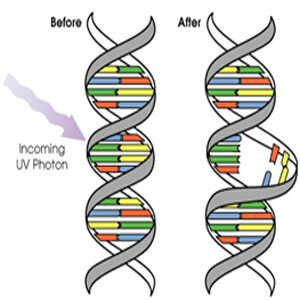 Ultraviolet rays harm the DNA molecules of living organisms in different ways, each having an effect on living organisms DNA molecules causing them to lose functionality. Living organisms, in addition to their own ability to repair damage caused by harmful UV rays, are protected from large and excessive amounts of solar radiation by the ozone layer in the upper atmosphere. 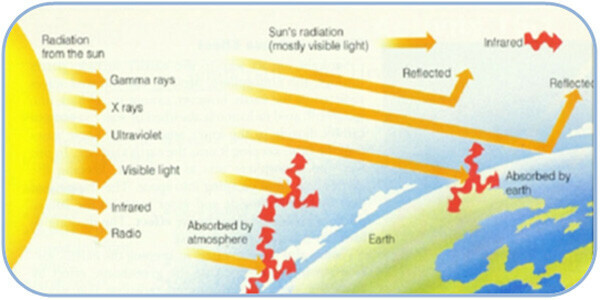 The ozone absorbs solar radiation preventing much of it from reaching life on Earth. There are many clues indicating that the ancient world was not bombarded as heavily today by solar radiation as we know today. Some speculate this may be due to a different atmosphere in the past, but that is contrary to the evidence that our atmosphere always had a heavy content of oxygen and nitrogen as we know it today. Rather it seems to be more feasible, by some scientists, that a water canopy was originally created to cover the entire earth. We know that water has a tremendous impact on preventing the harmful effects of radiation, and only a thin layer above the atmosphere would be necessary to help make this possible. This would allow living organisms to live longer without the detrimental effects of radiation affecting them daily, causing the continual daily damage to their DNA and organs. Paleontologists have uncovered multiple findings that point to an ancient world that was once a global, tropic paradise, with perfect initial conditions for all living organisms. If the canopy theory was correct, that the world was covered in a water canopy above the atmosphere, this would have amplified the greenhouse effect over the entire globe while trapping moisture allowing a uniform, lush environment for plant life to flourish. This would in turn increase oxygen content for animals and humans. This would also help ensure a very close and approximate uniform temperature and humidity over the entire globe. Mopsitta is the ancient parrot. Paleontologists have found remains of this ancient bird as far north as Scandinavia. This discovery point to the fact that tropic conditions must have existed in this northern most region of the world in ancient times. Fossilized remains of plant material have been discovered in Antarctica, proving that at one time, tropical conditions and temperatures must have reached the entire globe. – Raymond, Chris, “Scientists Report Finding Fossils of Dinosaurs in Antarctica’s Interior,” Chronicle of Higher Education (March 20, 1991), p. A11. The carboniferous layer holds a key to the ecosystem of the past. If indeed the carboniferous layer was laid down quickly as evidence suggests, this would mean the world was literally, absolutely covered in lush forest and jungles. Due to the fact that the carboniferous layer is found not only throughout the land, but is found to extend out into many parts of the ocean, this would also lead the possible conclusion that the oceans where not only smaller or underneath larger portions of landmass, but that these dense jungles and forestlands did indeed extend out to these areas. This also provides evidence that the soil in the ancient world perhaps provided a much higher concentration of nutrients then we find in today’s soil, increasing the health and size of all living organisms. Today we know that all trees have growth rings. Growth rings occur in trees because they have variations of hydration during different seasons of the year. When a tree receives sufficient water and sunlight it will start to produce a new ring. 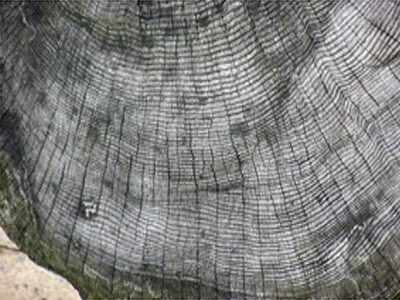 We have found that ancient tree fossils indeed have no growth rings. This is evidence that there was a time when all the trees of the world grew in a different type of global condition then we know of today, and this result could only be produced through a few different probabilities. 1.) This could be proof of an instant creation as recorded in Genesis, when it says God created everything instantly including the plants of the world. 2.) This would be evidence that the ancient world had perpetual tropic condition and experienced very little regions changes during shifting seasons, further proving a global uniformity of temperature and humidity. This may be what is eluded to in the account of Genesis, where God says that the world had not received any rain but that all the plants of the earth where watered by a mist that came up from the ground. Of course this may not have been the case the entire time before Noah’s flood, but may still be a clue to previous world conditions. Contrary to many uniformitarian teachings, scientific evidence is overwhelming in proving the early conditions of the earth had a higher percentage of oxygen then we know today. We find this evidence in some of the deepest layers of the earths strata. Amber crystals hundreds of millions of years old show oxygen was actually at greater levels that what we experience on earth today. Iron deposits called “banded iron formations” found at Lake Superior from the Archean (4 – 2.5 Bya) and Preterozoic (2.5B – 400Mya) strata contain FeO (ferrite oxide) would indicate a high level of oxygen in the atmosphere during the time of their deposits, would be needed to create these formation and associated “red beds,” which are also found at the deepest and oldest layers of earth sediment. Experiments show that increasing oxygen content increase the size of living organisms, which would further account for the giant size living organisms we find in fossils. Experiments of increasing oxygen content have yielded such results in the animal kingdom. People who are exposed to higher pressure content and higher oxygen levels in hyperbolic chambers experience more rapid healing of their skin and tissues, as well as testimonies of feeling healthier and more energized. This interesting photograph is of a hammer found in deep strata sedimentary layers. It’s iron head and wooden handle are solidified in sandstone. Metallurgical studies show that it was constructed of a type of iron that could not have been made under present atmospheric conditions. In June 1934, the Hahn family discovered a rock, sitting loose on a ledge beside a waterfall outside of London, Texas. The site primarily consists of 75-100 million years old cretaceous rock. Noticing this weathered rock had wood protruding from it, they cracked it open, exposing the hammer head. To verify that the hammer was made of metal, they cut into one of the beveled sides with a file. The bright metal in the nick is still there, with no detectable corrosion. The unusual metallurgy is 96% iron, 2.6% chlorine and 0.74% sulfur (no carbon). Density tests indicate exceptional casting quality. It is believed that before the flood our atmosphere was compressed to approximately twice its current density, and no ultraviolet radiation. 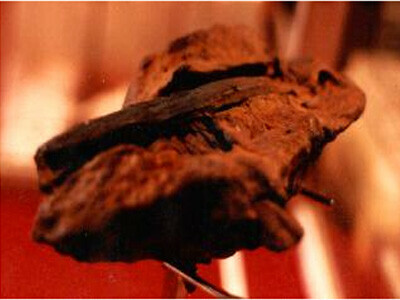 Artifacts like this one would seem to indicate a different type of atmospheric condition in which metal was cast. The density of the iron in a central, cross-sectional plane shows the interior metal to be very pure, with no bubbles. Modern industry cannot consistently produce iron castings with this quality, as evidenced by test results that show bubbles and density variations that have caused pump and valve bodies to break. The handle eye is partially coalifed with quartz and calcite crystalline inclusions, oval shaped, and roughly 1″ x 1/2″. Looking at the mid-Atlantic rid in the ocean, we find evidence that the Earth’s magnetic field has changed in the past. Although a uniformitarian’s point of view leads them to believe this is evidence of a shifting and unstable magnetic field that causes the earth to experience perpetual magnetic reversals. Catastrophist and other Geologists point of view yields to the conclusion that these magnetic variations where caused by a long catastrophic world event causing the Earth’s magnetic field to experience multiple reversals, ultimately correcting in the end and stabilizing from a global catastrophe [as Noah’s flood would have experienced severe effect to the globe for over 6 months]. 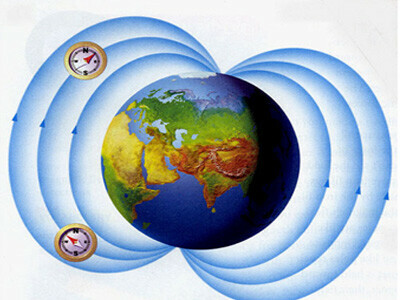 Working backwards form any point of view, we find that the Earth’s magnetic field would have been steadily increased in as short as a few thousand years ago by a great percentage, some estimates up to 150% + today’s magnetic field. A stronger magnetic field would have acted as a stronger shield then today preventing even more solar radiation and preserving life even further. Another potential contribution to the ‘super sizing’ effect of animals may be found by studying stronger magnetic fields. 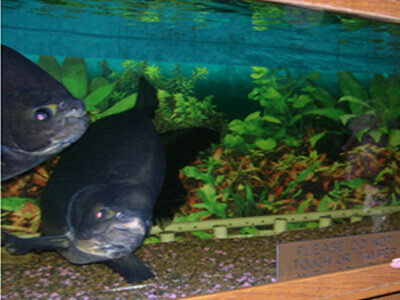 Dr. Baugh is raising piranha’s in an aquarium with greatly increased magnetic field, he has been raising Piranha 4 times larger than normal by simulating these pre-flood conditions. 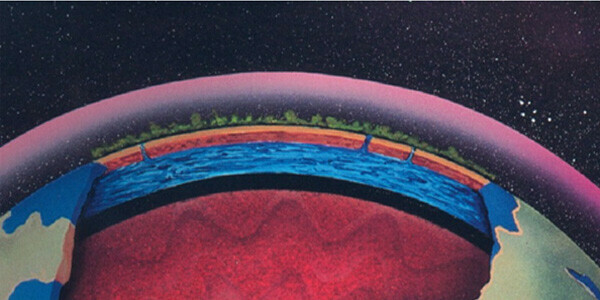 Based on evidence from the carboniferous layer, and many other inferences, the land mass of the earth probably covered a much larger section of the globe, which sub-terrain oceans had dominated the underground. We know that God broke open the fountains of the deep, as this would indicate that there was a massive body of water under the land. 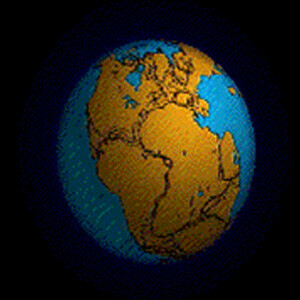 Many theories including Pangaea could allow for a larger land mass or surface area of land to ocean then we see today. The Oceans are gaining sodium at an increasing rate of over 300 Million Tons per year through absorption of land sediments. We know that with this amount of sediment being introduced into the ocean, and if we assume that the oceans where much smaller before the great flood, it is most likely that all of the oceans in the world where mostly fresh water. 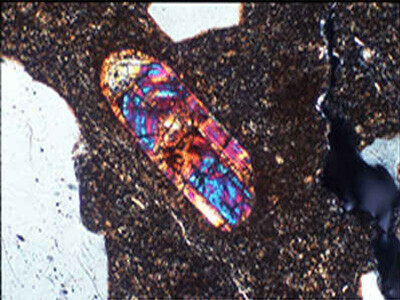 Zircon crystal have been found in the deepest layers of sediment dating back to 4.5 Billion years. When testing and examining these crystals we find that they have been in contact with large bodies of water, and also contain evidence for heavy traces of an oxygen enriched atmosphere. Noah’s flood literally reshaped the entire face of the earth, the Bible even tells us that the ancient world is literally gone (2 Peter 2.5)! Geologists have estimated the pressures necessary to create a worldwide flood would have been in many regions and instances equivalent to nuclear bombs going off as the crust of the earth began to shatter. Again after Noah’s Flood, it is speculated that another reshaping event took place as recorded in Gen 10.25, when is says that in the days of Peleg, the Earth was divided. Length of Noah’s Flood – How Long Did Noah’s Flood Last? 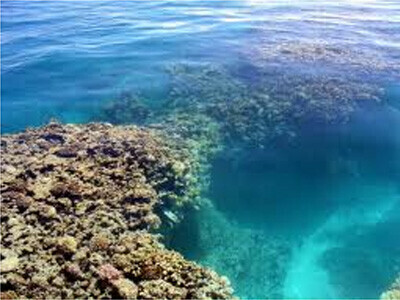 In his 600th year, 2nd month and 7th day the fountains of the deep broken open and the windows of heaven where opened. It rained for 40 days and nights. 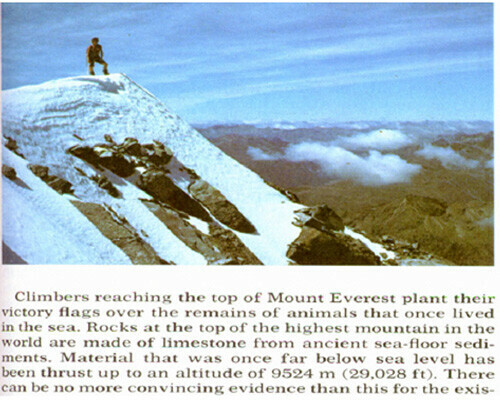 The water covered the highest mountain tops by a depth of 45 feet. At the end of the 150 days, the Ark grounded on the 17th day of the 7th month. Waters receded for 2 months until the 1st day of the 10th month, in which the tops of the mountains where exposed. 40 days after the mountains where seen, Noah sent out a dove, but it returned not able to find land. A week later he sent a dove out again which returned with an olive branch. Another week followed and he sent it out again and it did not return. In the 601st year 1st month 1st day on Noah’s birthday, he saw the face of the ground was dry, but not yet firm. He waited 1 more month on the 27th day and God commanded Noah to leave the Ark. = 1 year, 0 months 10 days. Critics often scoff at the Biblical accounts of re-growth and populations after Noah’s Flood would have occurred, stating that live could not have possible flourish in only a few short years. Yet we find evidence that ecosystems and populations can fully recover and regenerate very quickly under the right conditions. A Man-Made rainforest that should have taken millennia to evolve has baffled scientists by springing up in just 150 years. The forest now covering Green Mountain on Ascension in the mid-Atlantic sprung up chaotically form a mixed bag of botanical scraps planted by Royal Navy and Kew Garden in 1843. 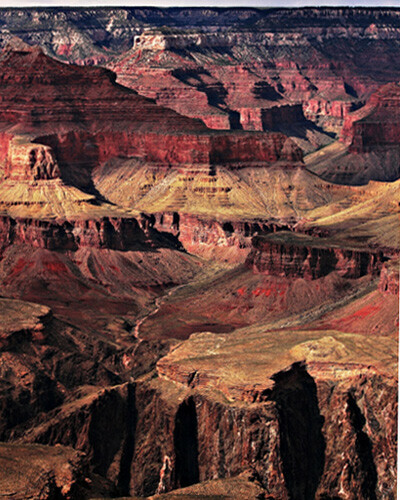 The Grand Canyon is one of the most spectacular places on Earth, revealing evidence of a catastrophic flood that carved into the earth as it receded. It was at one time refuted by uniformitarian’s that such a large canyon could ever be made without the aid of millions of years to erode such massive amounts of sediment. In the 1980, all that change when Mt. 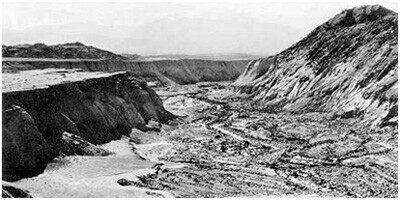 Saint Helens erupted in Washington creating a canyon almost 1/40 the size of the grand canyon in only a few days. The eruption of the volcano caused the ice caps to melt causing a massive amount of rock and sediments to create a catastrophic gorge similar to what we see at the Grand Canyon. This is evidence pointing to the fact that such massive geologic changes can be made very quickly under the right conditions. Another debate among geologists is the timeline of all the worlds mountain ranges upheaval. If we take into account even the uniformitarian’s timeline to reference when the worlds mountain ranges experienced their uplift, we find they are all within a recent and close proximity. Considering uniformitarian’s believe the earth is Billions of years old, these dates would reflect an extremely recent creation of all the worlds mountain ranges. We have to remember that uniformitarian’s have to rely on the geologic column that they believe reflects billions of years, when it is put into a catastrophic time scale, these recent millions of years reflect a recent timeline as we find in Noah’s account, only 4000 years ago, after all the sedimentary layers of the Earth had already settled. Evidence atop the highest mountains reveal that the entire world was covered in a global ocean, or flood at one point in time, seemingly, very recent. We find oysters on the very top of Mt. Everest, and well as many other indications that these high regions where at one time an ocean floor. There is irrefutable evidence that we had experience an ice age in the past over most of the northern hemisphere, although the extent and time periods are up for debate. The evidence for gargantuan glaciers comes from many of the carved sediments and rocks that have impressions of the scars left behind from the moving and sliding of such massive pieces of ice. Carving in stone over several miles have been found in many location that could only have been made by giant glaciers of ice. The ice age would easily have been caused by massive changes in the atmosphere due to the radical changes Noah’s flood would have made to the Earth. Not only would massive amounts of sediment been lifted into the atmosphere for a time dropping temperature, the earth would have had a massive shock having experience paradise/ tropical conditions uniformly throughout the entire globe.